PEANUT BUTTER CHOCOLATE CAKE PIE. Doesn't that sound so awesome? I love MC's pies and this one is new to the MC pie line up. National Pie Day is TODAY, January 23, and I am giving away a chance for you to experience the goodness that is MC's new Peanut Butter Chocolate Cake Pie. 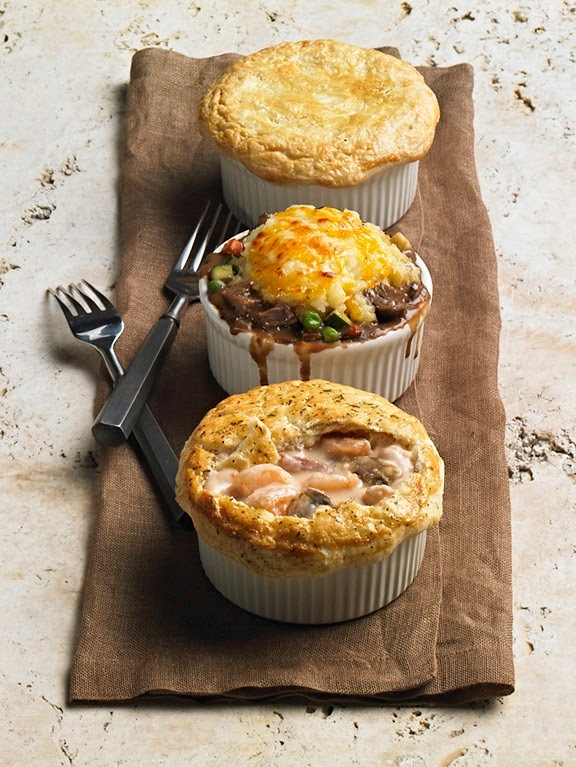 Not only are they celebrating National Pie Day with a new pie, they also have their new "Perfect Pie Trio", which are savory delicious new pies on the menu. These are available now until March 27! 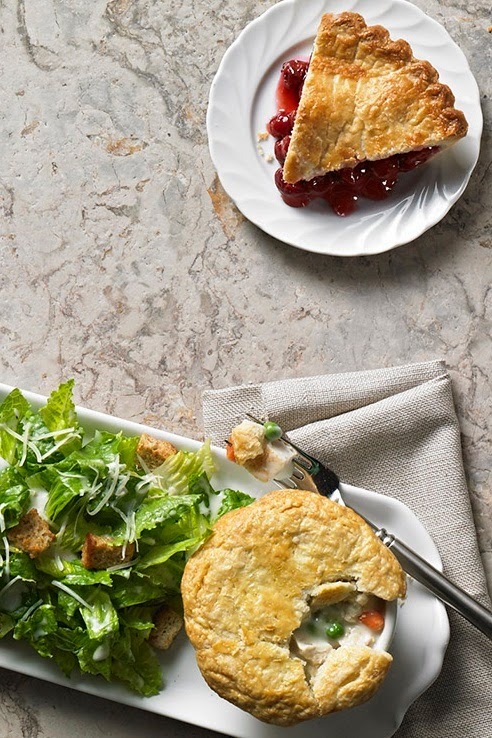 Guests have their choice of Marie Callender’s perfectly portioned Chicken Pot Pie, Shepherd’s Pie or Tuscan Shrimp Pot Pie, each served with a Caesar salad. Plus, the trio includes a FREE slice of Marie Callender’s legendary pie starting at $9.99 (such a deal). Just a note that the free slice of pie does not include cheesecakes, season fresh fruit pies, or their special promotional pies, like the PB Chocolate Cake one. Ok, now... introducing the NEW PEANUT BUTTER CHOCOLATE CAKE PIE! Marie Callender’s introduces its newest pie, the Peanut Butter Chocolate Cake Pie available for a limited time for $14.99 (plus tin). 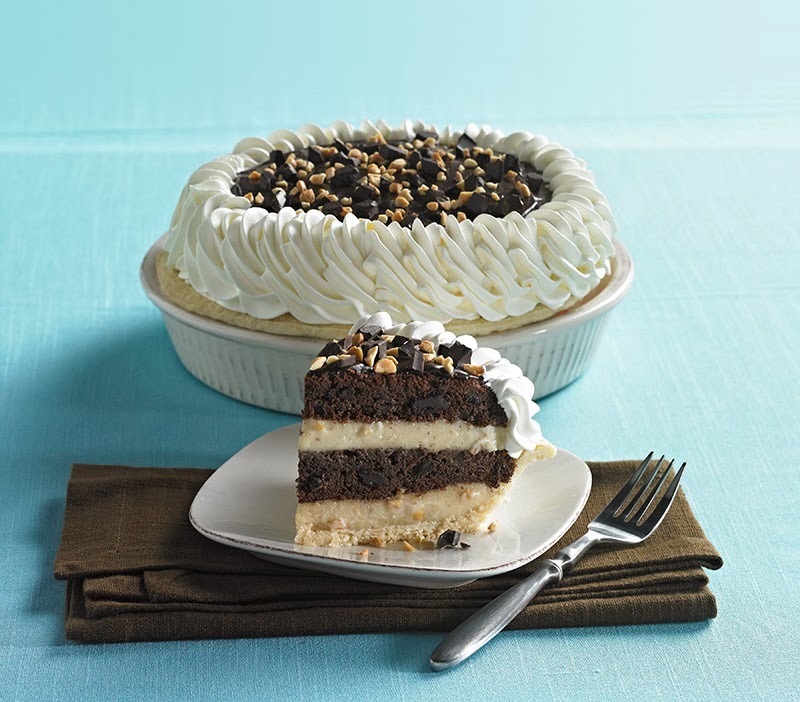 Featuring Marie Callender’s flaky crust filled with peanut butter cream, moist chocolate cake and chocolate chunks, the pie is topped with rich chocolate fudge icing and fresh whipped cream. WHAT. Yes. To enter for a chance to experience MC's Peanut Butter Chocolate Cake pie, please fill out the form below. US residents only, please. Good luck! One winner will be selected. 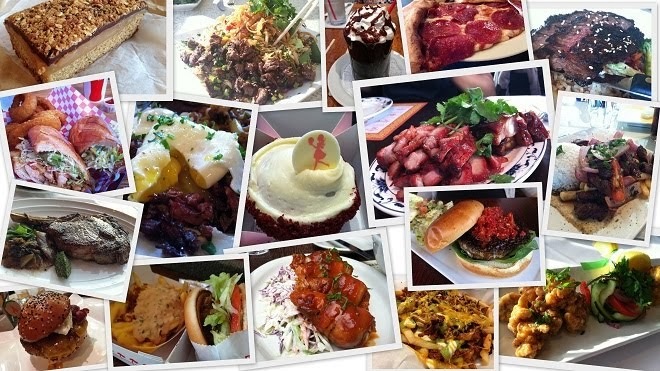 Disclaimer: All images were provided by Marie Callender's. The prize for this giveaway is sponsored by Marie Callender's. I did not receive any further compensation for writing this post.